I’m loving this season so far! What is it about Summer? Everything feels so bright, fresh and new! I have mentioned before, but every Sunday, We have dinner with all our kids. It’s a perfect time to try new recipes and get honest answers if it’s a hit or a miss. Trust me, my husband will not let me put something on the blog unless he thinks it’s worthy! But you know how families are, everyone has different tastes and usually not everyone will love everything, but this they did! With the flavor of citrus and fresh strawberries, your mouth will be in it’s happy place. Preheat oven to 350 degrees. Spray cake pan with cooking spray. Cream the butter and sugar in the bowl until light and fluffy. Add the eggs, one at a time, and then the sour cream, lemon juice, orange juice and vanilla. Make sure to scrape down the sides of the bowl and mix well. In a different bowl, combine the flour, cornstarch, salt, and baking soda. Slowly add the flour mixture to the butter mixture and combine until smooth. Pout the batter into the pan and make sure it’s even. Bake on the center self for about 40 to 45 minutes, or until the toothpick come out clean. Let completely cool. To make the topping, whip the cream, sugar, and vanilla in a bowl. 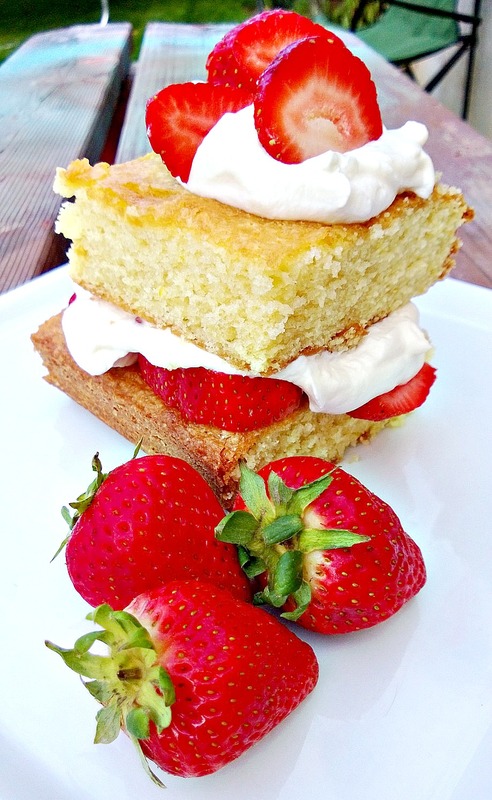 Spread the whipped cream on top of the cake and scatter sliced strawberries on top, or cut pieces of cake and then put whip cream in between layers with sliced strawberries. Top it off with the whip cream and strawberries to complete your masterpiece! Either way, it’s amazing! oh my yes! 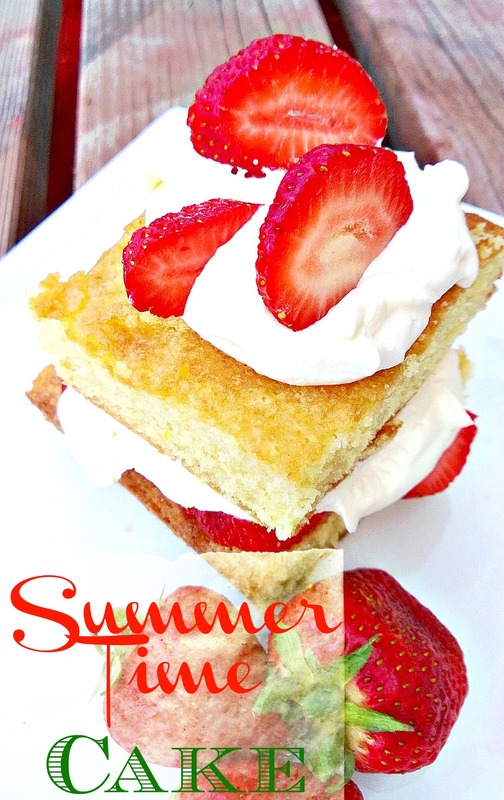 so making this delectable dessert this summer! nothing better than fresh strawberries & cake!!! pinning! Your cake looks sooooooooooo YUMMY !! Yum! This looks like the perfect summer cake! I think I will be making this soon. Adding it to my bake list. Thank you for sharing! What a lovely, easy cake! It looks so moist and delicious. Pinning and sharing. Thank you so much for sharing it with us at the Hearth and Soul hop.